I really like the way this block turned out. It gave me a large area to showcase my “bucket list” fabric. 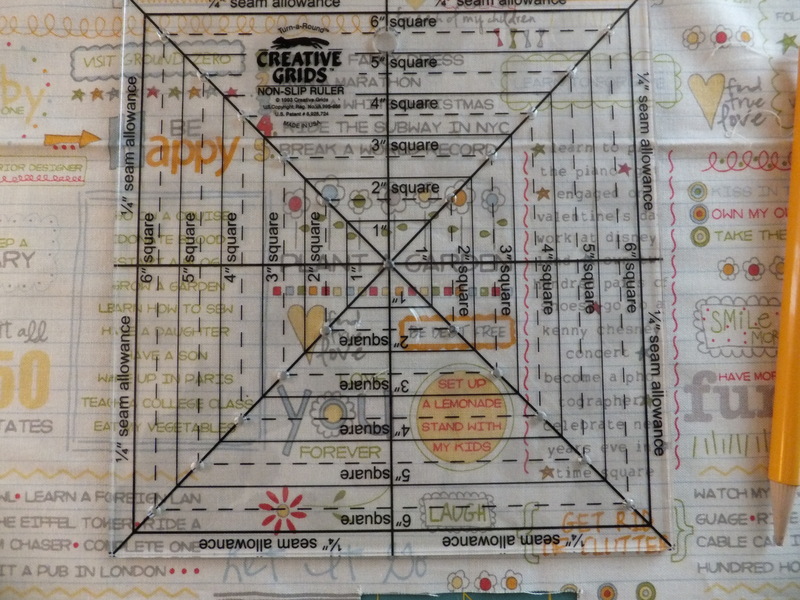 I used this Creative Grids Square it Up and Fussy Cut Ruler designed by Penny Haren. 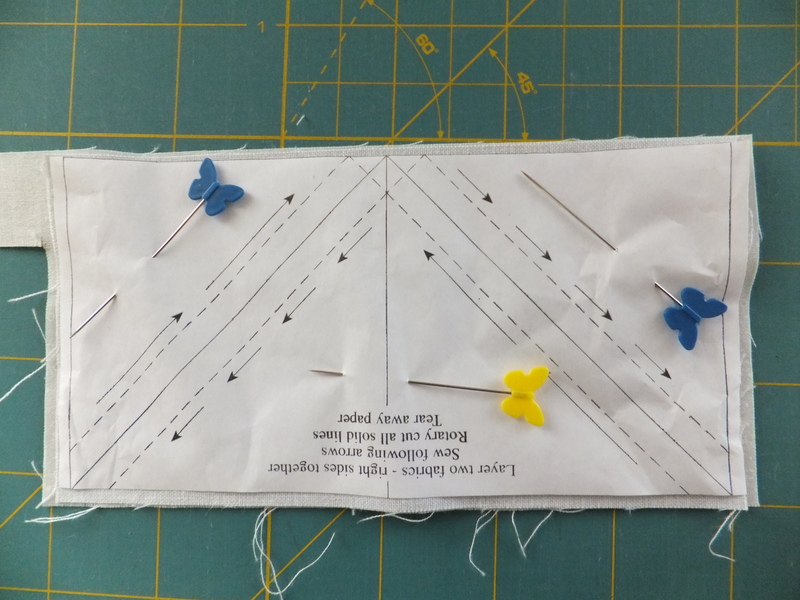 You place the ruler over the fabric and center the part you want it use in your block. The ruler has holes located at the four corners for your block. You mark it with your pencil and then cut on those dots. If you look closely above the S, you can see my pencil mark. 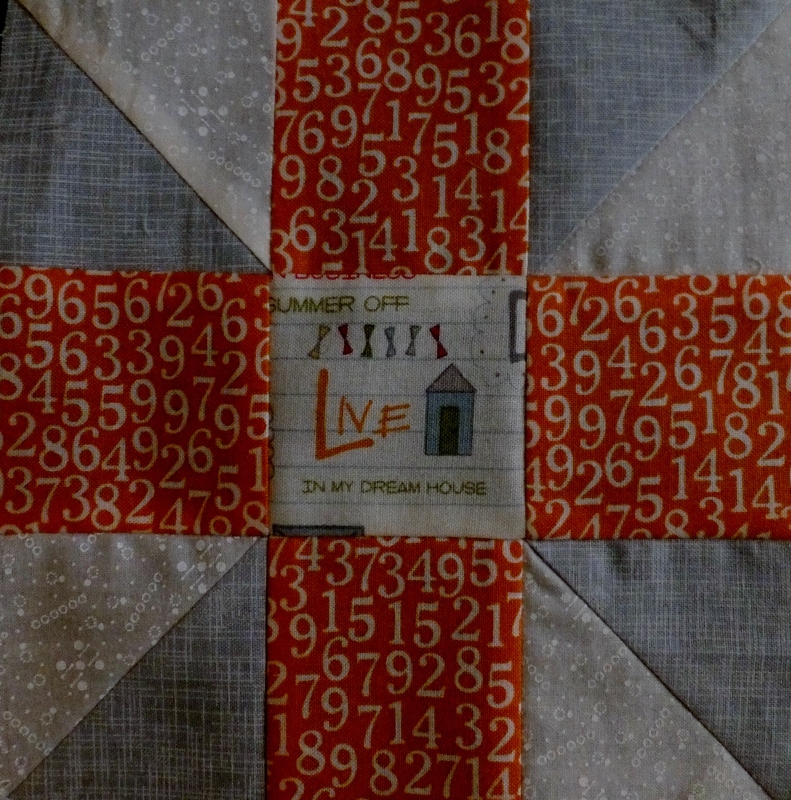 I paper pieced the rest of the block using the patterns found on the Yahoo Farmer’s Wife Quilt Group site. To make this block, I used Triangles on a roll. Triangles on a roll come in several sizes and the directions are printed on the roll. I was happy that I could use my “number” fabric on this block. Happy quilting, 16 down and 104 to go. 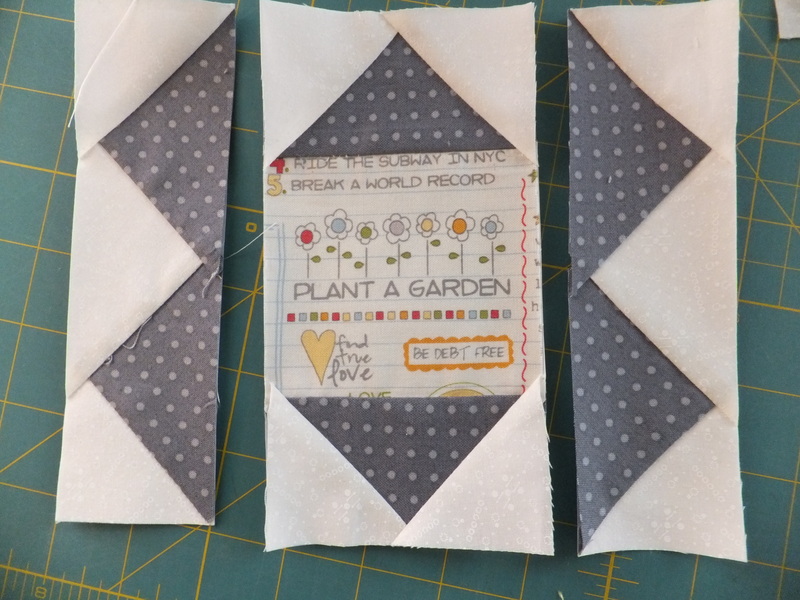 I love this bucket list fabric! My daughter and her friends were quite taken with a community street art project called Before I die (http://beforeidie.cc/). We’ve seen it in Birmingham AL and in St. Louis. I want to make them quilts for their high school graduations next year and including this fabric in their quilts will perfect! 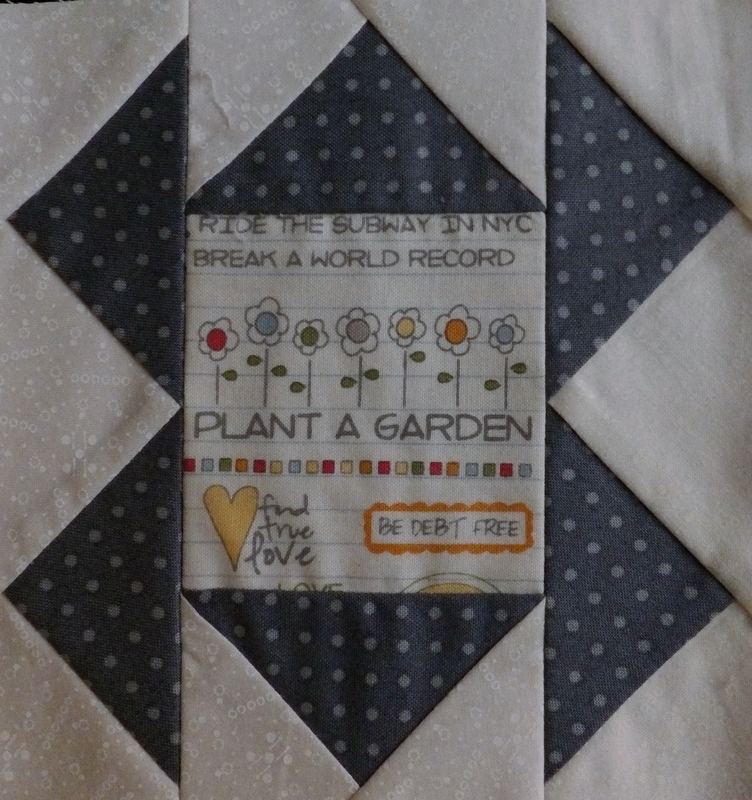 Good luck with your Farmer’s Wife Quilt–your blocks so far are lovely.